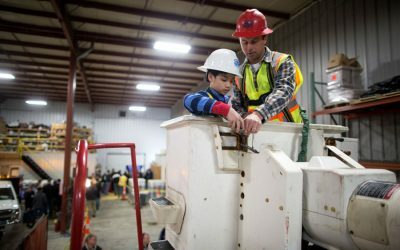 On Wednesday, March 15, 2017, JRE hosted its 3rd annual Skilled Trades Night for area students to explore careers in the trades. JRE was named the #1 top solar EPC contractor in Michigan and #22 in the U.S. by Solar Power World magazine. 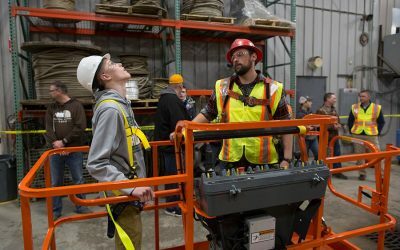 On Thursday, March 15, 2018, J. Ranck Electric (JRE) hosted its fourth annual Skilled Trades Night for area students to explore careers in the trades. Students and their parents, 170 of them in total, gathered at J. Ranck Electric headquarters in Mount Pleasant. 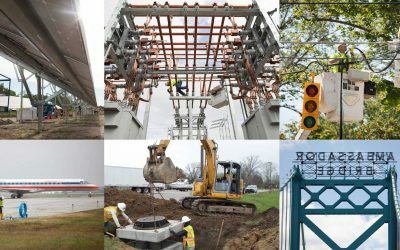 On Thursday, March 15, students will learn how JRE employees energized their careers in the electrical contracting field, see their work and hear how the decision to enter professional skilled trades led to successful, rewarding careers. 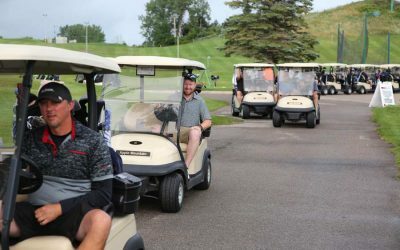 There are so many things we love about J. Ranck Electric’s 5th Annual Fore the Kids Golf Outing. We love spending a Friday outdoors on the golf course; driving a golf cart around in the sunshine and fresh air can’t be beat. We love getting together with customers and vendors. 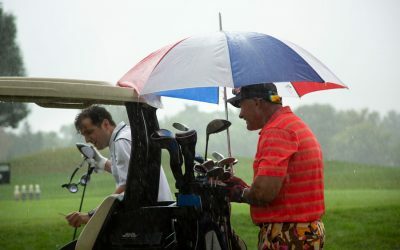 Plus, we definitely enjoy seeing golfers in silly goggles. But those things aren’t really the reason the Fore the Kids golf outing exists. First and foremost, Fore the Kids is for family. 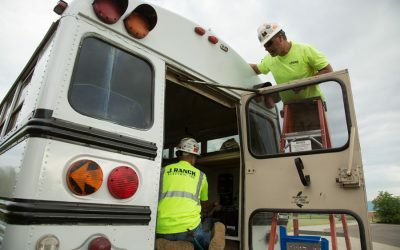 A JRE solar crew helped out CTE students with their project by installing (3) 240W solar panels for a total capacity of .72 kW on the roof of the bus. 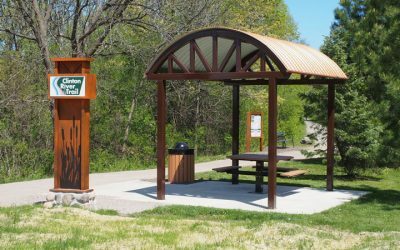 JRE’s Clinton River Trail Amenity Improvements project was recognized as Project of the Year by the Michigan Chapter of the APWA.